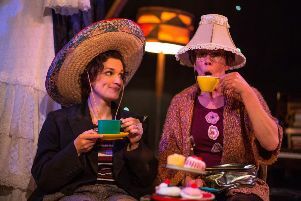 Tweed Theatre will once again demonstrate the range of talent within its ranks with two new productions at the Eastgate Theatre that celebrate the work of a pair of outstanding British writers. Attending a Roman Catholic primary school in my formative years has given me a sense of right and wrong ... and a lifetime phobia of nuns. 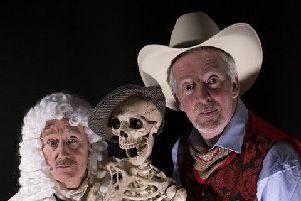 Actors John Shedden and Finlay McLean are heading to Bowhill this month to tickle your funny bone, with the help of a skeleton. 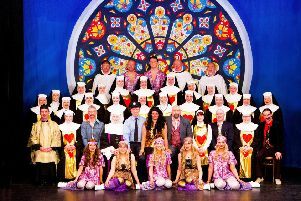 Galashiels Amateur Operatic Society takes on another new musical this week in Sweet Charity. 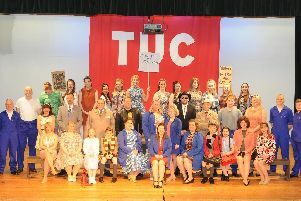 Made in Dagenham, but polished in Selkirk ... the show has been entertaining Souters all week. 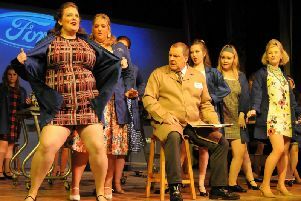 Made in Dagenham, polished in Selkirk ... there is no better way to spend an evening in the Royal Burgh this week than heading to the Victoria Halls. 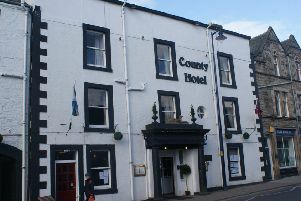 Souters are about to enjoy the best of new writing on their doorstep, thanks to the launch of a play-writing initiative. 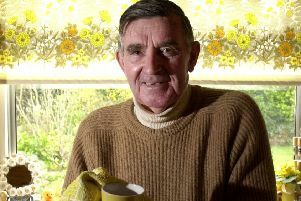 A new play chronicling the life of rugby icon Bill McLaren is to be premiered in his home town of Hawick next year. 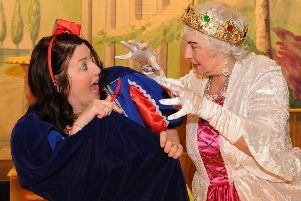 Hawick Panto Group is bringing the age-old tale of Snow White and the Seven Dwarfs bang up to date in this week’s hilarious show at the town hall. 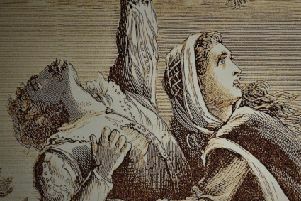 Heriot Players are treating audiences to a good old thigh-slapping, child-kidnapping, arrow-pinging time this weekend at McFie Hall. 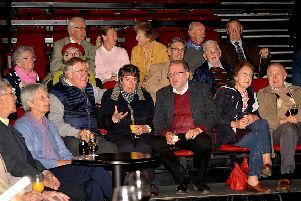 A Borders theatre is celebrating after hitting the £70,000 fundraising target it needed to reach in just two months to secure a further £280,000 to pay for a major revamp. 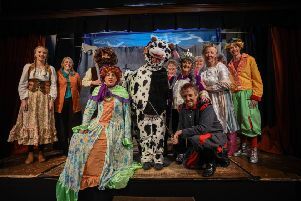 A special show for pre-school children will be performed this Monday at the Eastgate Theatre in Peebles. 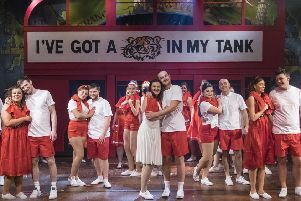 What could be a better antidote to the Beast from the East and Brexit than a jolly old musical about summer sun, falling in love, and free travel throughout Europe? 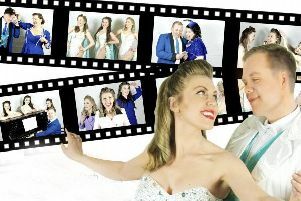 Selkirk Musical Theatre Company’s production of Copacabana resumes tonight after it was hit by the heavy snow this week. 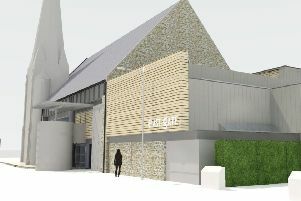 A Borders theatre has taken a sizeable step towards a £1.5m makeover, thanks to a £10,000 donation. 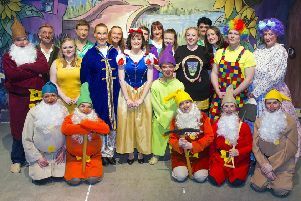 Breaking with tradition somewhat, the Association of Selkirk Clubs and Societies held their panto after Christmas at the town’s Victoria Halls last Thursday and Friday. 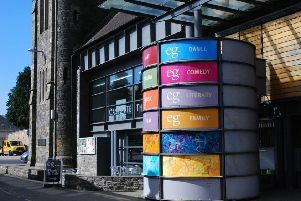 The future of a Borders theatre is hanging in the balance as it awaits news of two sources of funding its survival depends upon to keep going. 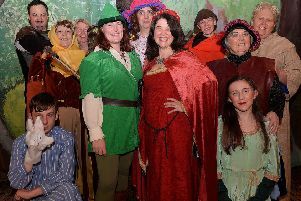 Heriot Players are this weekend opening the region’s panto season in style in a giant production at the MacFie Hall. 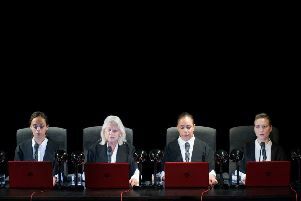 What a venue Macarts in Galashiels is ... as perfect for small, intimate music gigs as it is for intensely powerful plays such as Fire Exit’s production of David Leddy’s Horizontal Collaboration, which visited the former church on Saturday evening. 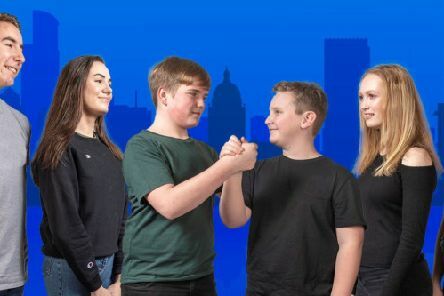 Northumberland Theatre Company present a humorous dramatisation of ‘The Disasters of Johnny Armstrong’ on October 19 at Berwick’s Watchtower Gallery.